The sparkling stars of WIS Bhilwara PG to Sr.Kg. 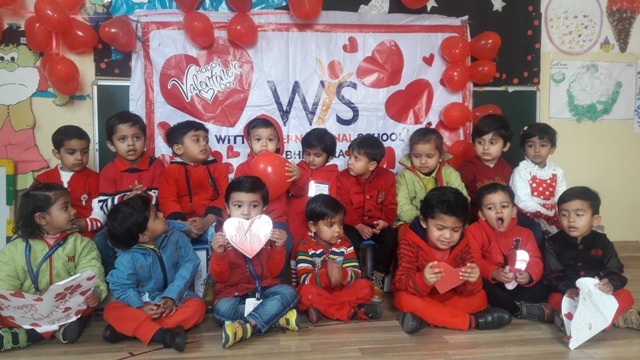 celebrated Valentine’s day on 14th February, 2017 with a lot of exciting activities. The kids came in red coloured clothes. 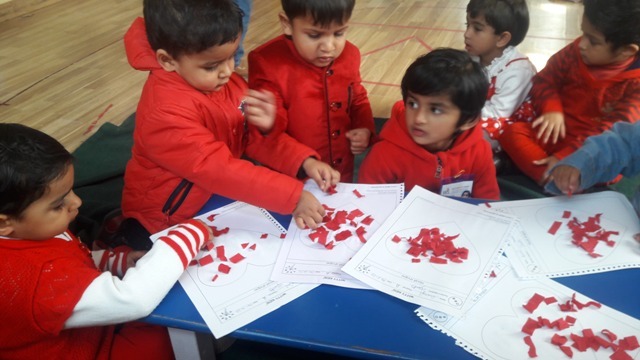 The tiny tots made cards, stuck red paper on heart shape worksheet. 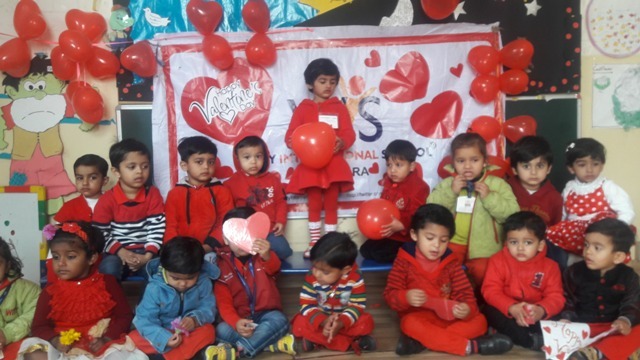 Through this activity, sparkling stars learnt that they should respect, love and care their parents, grandparents, brother and sisters.